Avoiding Silo Mentality Part 1: Why Are They So Bad? No, not those silos. These silos. Yes, the name comes from those large, grain-storing metal structures. But what exactly do we mean by silos and silo mentality when it comes to the working world? And why are they such a problem? Sound scary? It should. If left unchecked for a prolonged period, silo mentality will negatively impact even the most profitable company. And if you think your organization is immune, know that silo mentality can happen anywhere, regardless of company size or structure. Here at Gliffy, we've felt the impact of silo mentality and strive to create tools that fight it. Our goal is to get teams out of their silos and on to the same page. In fact, we feel so strongly about its negative effects that we're dedicating three entire blog posts to silo mentality. So strap in, because you're about to learn all there is to know about silo mentality and how to avoid it. Everyone knows that not sharing information is never a good idea — sharing is caring! But why exactly is silo mentality so harmful to a company's success? A permeating silo mentality can have lasting effects both internally — company operation and culture, and externally — the customer experience. 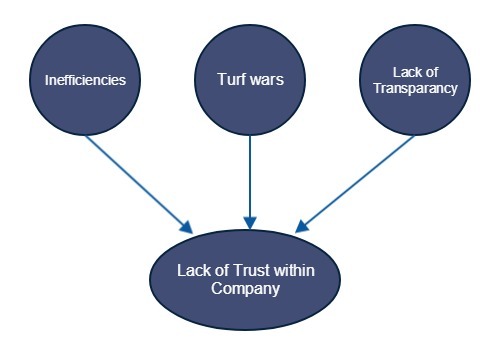 This all ends in the same result, a lack of trust: Departments no longer trust each other to complete their tasks or handle responsibilities. Employee morale takes a dive and people feel isolated and insecure. Individuals feel like their superiors don't care about them. When teams stop talking, feedback stops getting passed along and projects stagnate. These inefficiencies alone are enough to bring down an organization, but wait, there's more. Silo mentality doesn't just affect your company internally, your customers suffer too. Redundancies start popping up in the most unexpected places, while other areas are left with gaping holes. Imagine this: you're a video site and a customer is going through your onboarding process. They're introduced to the three different features you offer. First, they learn how to upload a video — how to title the video, add it to a folder, and so on. Second, they learn to create and edit a video with your video editor. They are again shown how to upload the video. Lastly, they learn how to share their video. They learn how a member of their team can also use the service. While each step is teaching them something new, they are also learning how to upload a video... Three Times! A little excessive, don't you think? This sort of thing happens when teams who don't talk, are in charge of different, yet overlapping features. They never communicate their plans to the company as a whole and the customer suffers. This decline in customer experience reflects poorly on both the company and the product. And negative feelings within the company surge. A positive feedback loop of negativity feeds on itself until the company is bursting with resentment. Silos often happen without anyone noticing because their formation is slow and “natural”. The thing to remember is that the problem is not with the silos themselves, but with the mentality accompanying them. Silos are more common in larger companies, because the larger the company, the harder it is to communicate. But that doesn't mean smaller companies are immune. Silos often start when employees develop a greater sense of loyalty to their individual team or department and collaboration decreases. As departments become more of a clique, other teams become outsiders and the company as a whole and its needs become secondary to the needs of your closest team members. Although it may seem like it, silos don't start with teams or individuals. Silo mentality begins at the top. 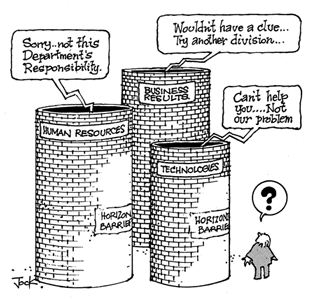 If management doesn't see the problem and places blame elsewhere, silo mentality only gets worse. A decision to tear down and eliminate silos has to come from the top. When a culture of communication and transparency is fostered by management, it will continue to trickle down to the rest of the organization. Silo mentality is the result of a lack of communication. 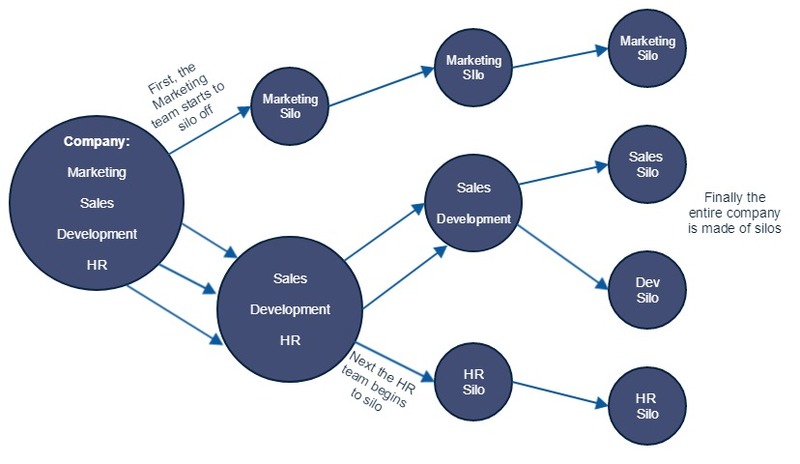 To avoid it, teams must focus on continuously improving the way they loop each other in. Easier said than done! A culture of communication needs to start from the very top if there is any hope of it becoming part of the foundation of the company. 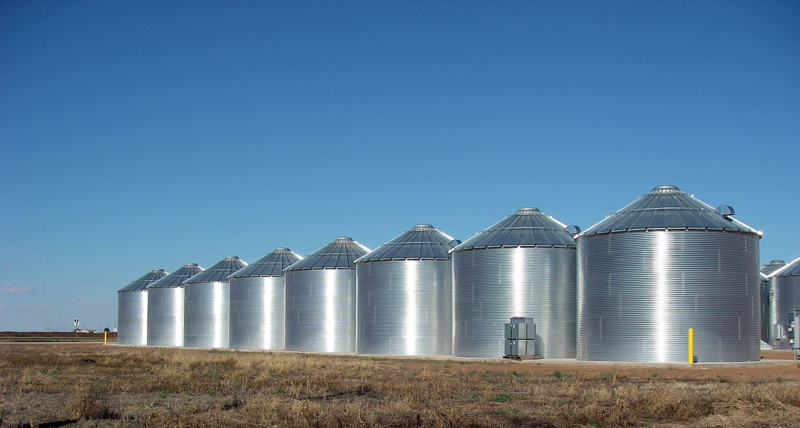 In the next two articles, we'll show you how to recognize the warning signs that your company is moving towards a silo structure. We'll then discuss how to get out of silo mentality and back on track to success.